The American Dream: It started here. The Virginia Company, founded in 1606, was a joint-stock corporation similar to other international trading companies of its day. From this early commercial venture, the United States ultimately was founded. 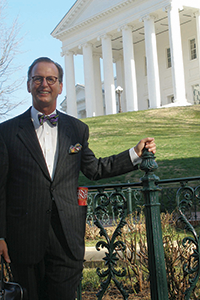 Beginning in Jamestown and continuing in Williamsburg and now in Richmond, Virginia’s Capitol is the seat of government for the oldest continually convening legislative body in the Western Hemisphere. 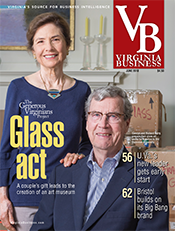 History is a deeply ingrained part of Virginia’s high quality of life. Thomas Jefferson penned some of our nation’s first thoughts on religious freedom and public education at Monticello near Charlottesville. James Madison, considered the father of the U.S. Constitution, developed his ideas on government at Montpelier in Orange County before presenting them to the constitutional convention in Philadelphia in 1787. 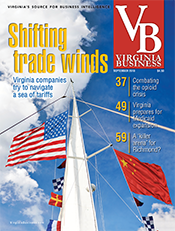 Turning to the present day, Virginia is known as a business-friendly state and a popular location for business expansion. The commonwealth’s infrastructure includes a major international airport, Washington Dulles, and, one of the East Coast’s largest seaports, the Port of Virginia. Major rail lines running through the state, such as Norfolk Southern and CSX, enhance Virginia’s reputation as a shipping hub. 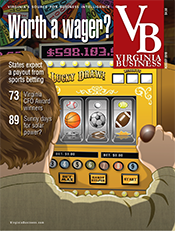 Virginia’s location is an important competitive advantage. The commonwealth sits at the less-congested, southern end of the Washington-to-Boston corridor, with easy shipping via interstate and rail to the nation’s largest population centers in the Northeast. Technology impacts every aspect of our lives. Northern Virginia is home to a vibrant community of government contracting, high-tech and defense companies. The first wave of technology created personal devices spanning from transistor radios to laptops to wireless telephones. The next wave of technological innovation includes health-care data, cloud computing, cybersecurity and unmanned aerial vehicles. 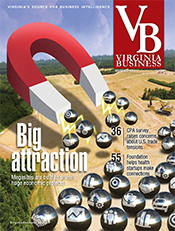 Proximity to the federal government makes Virginia an ideal location for these emerging industries. 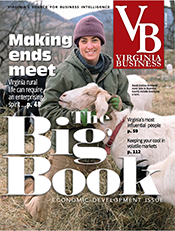 Virginia has a highly educated workforce, a statewide system of community colleges (see Page 96 for a profile of Northern Virginia Community College), as well as excellent public and private four-year colleges and universities. 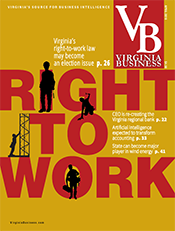 On the legal front, Virginia is a right-to-work state. Pro-business tort laws and relatively low corporate taxes also make the commonwealth a great place to relocate or start a business. 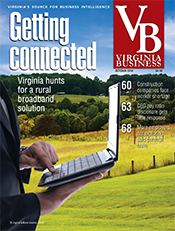 Beginning on Page S1 (after Page 38) of this issue you will find the 2016 Virginia Business Site Locator. 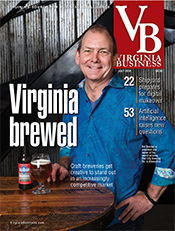 This special advertising section highlights cities, counties and regions throughout Virginia that are business friendly and business ready. If you are thinking of expansion or relocation, this section is for you. This month’s cover story focuses on energy security (Page 16). Energy producers are stepping up in the face of an increasingly complex threat environment to keep power plants and information safe. Community banking has seen a host of mergers, expansions and new entries from other states. 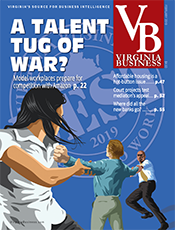 A few months ago, our editors sat down with bank executives from all regions of Virginia to discuss their business challenges, growth opportunities and industry changes that have taken place during the past several years. See what these community-banking leaders had to say on Page 24. Knowing the customer is a key element for community bankers. Their customer service is both high tech and high touch. 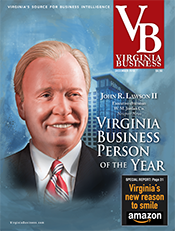 This issue also includes coverage of the 2016 Virginia CFO Awards. See Pages 69-86 for the nominees and individual profiles of this year’s crop of top financial officers. Many thanks to Dixon Hughes Goodman, the Virginia Society of CPAs, McGuireWoods, Capital One, Lumos Networks and OnCall Telecom for sponsoring this year’s CFO Awards event. 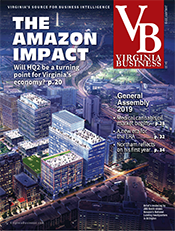 Quality of life, top-notch higher education, solid infrastructure, international logistics, a skilled workforce, access to capital and world-class professional services are just a few of the answers to the question, “Why Virginia?” We think it’s a great place for business and hope you will, too.